RecipeSavants.com These carrot-ginger cupcakes are topped with an easy cream cheese frosting flavored with cinnamon and nutmeg. A perfect dessert recipe for fall evenings! Smart Recipes, American Recipes, Eggs Recipes, Recipes Eggs American Carrot-Ginger Cupcakes PT45M Serves 12 Ingredients: 2 Cups Butter 1 Cup Shortening 1 Pound Brown Sugar 5 Eggs 3 Cups All Purpose Flour 1 Teaspoon Baking Powder 1 Cup Plus 1 Tablespoon Milk 1 Tablespoon Plus 1 Teaspoon Vanilla Extract 0.75 Cup Carrots 1 Tablespoon Ground Ginger 2 Teaspoons Ground Cinnamon 16 Ounces Cream Cheese 3 Pounds Powdered Sugar 0.5 Teaspoon Salt 0.25 Teaspoon Nutmeg Preheat the oven to 350 degrees. Line 2 (18-cups) muffin tins with paper liners. For frosting: In a large bowl, add cream cheese, 1 cup of butter and ½ cup of shortening and beat until smooth. Slowly, add powdered sugar, nutmeg and 1 teaspoon of cinnamon and beat until creamy. Add 1 tablespoon of milk and 1 tablespoon of vanilla extract and beat until combined. If the mixture is still too thick, add an additional tablespoon of milk and beat again until you reach your desired consistency. Refrigerate to chill before using. 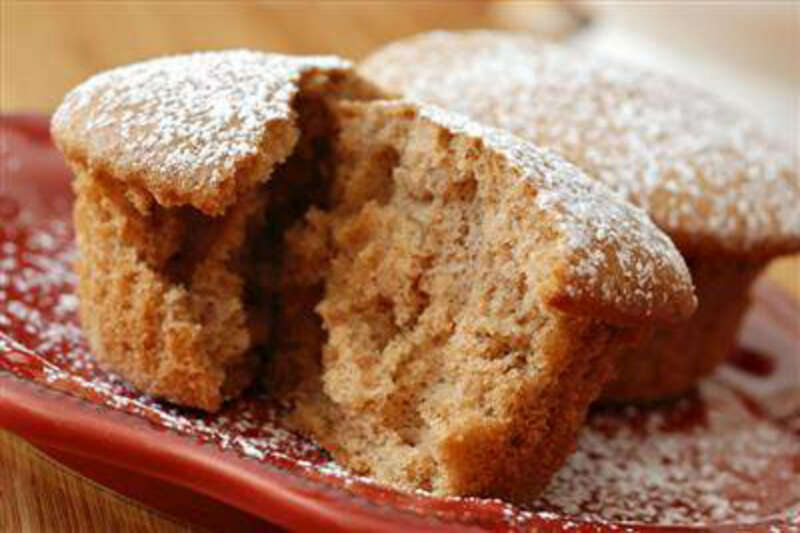 For cupcakes: In a bowl, sift together flour, baking powder, ginger and 1 teaspoon of cinnamon. In another large bowl, add 1 cup of butter and 1/2 cup of shortening and beat until smooth. Slowly, add brown sugar and beat until fluffy and light. Add eggs, one at a time and beat until creamy. Slowly, add flour mixture, alternately with milk until well combined. Add carrots and 1 teaspoon of vanilla extract and mix until well combined. Place mixture into prepared muffin cups evenly. Bake for about 20 minutes or until a toothpick inserted in center comes out clean. Remove from the oven and place onto wire racks to cool in pans for about 10 minutes. Carefully, invert cupcakes onto wire rack to cool completely before frosting. Spread chilled frosting over cooled cupcakes evenly and serve.